After last weekend’s flag fiasco at a Suzhou marathon, it’s time to rethink the role of patriotism in sports. This year’s Suzhou Taihu Marathon went viral for all the wrong reasons. 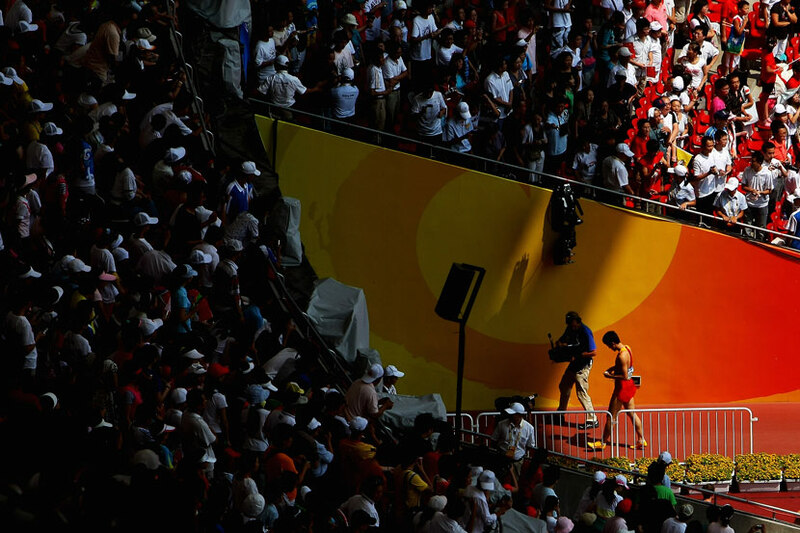 As competitors He Yinli of China and Ayantu Abera Demissie of Ethiopia raced neck and neck toward the finish line during the women’s running event, two volunteers separately rushed onto the track to hand He Chinese flags. The first attempted handoff was unsuccessful, but the second volunteer managed to stuff a flag into He’s arms. The Chinese runner continued for a few steps before casting it aside in an apparent effort to keep pace. It’s not obvious who would have won had the volunteers not intervened — the second flag-bearer appeared to temporarily disrupt Demissie as well — but the interference undoubtedly cost He valuable time in a race she ultimately lost by only five seconds. A gif shows a volunteer handing a Chinese flag to He Yinli during the 2018 Suzhou Taihu Marathon. What is clear is that the volunteers’ actions were entirely inappropriate and put He in an awkward position. A national flag may not be heavy, but it’s ridiculous to expect an exhausted runner in the midst of a heated duel for the winner’s laurel to carry what is essentially a sodden parachute. There’s a good reason that athletes have traditionally waited until after the competition to drape themselves in their country’s colors. Fortunately, at least some commentators seem to recognize that He Yinli is not the one who should be apologizing. 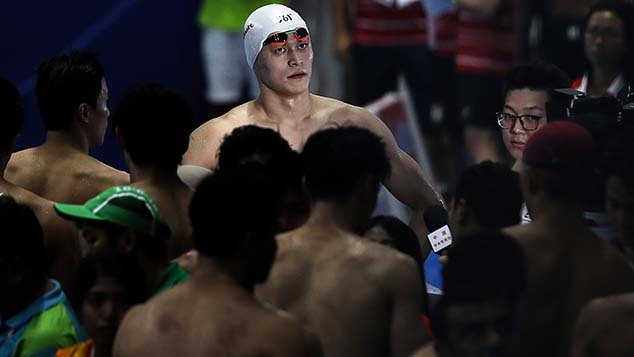 Shortly after the race, state broadcaster CCTV published an editorial on its website lambasting He’s detractors and the “moral blackmail” that forces athletes to choose between victory and patriotism. Striving to do well is patriotic in itself, the author argued, and all this latest incident had done was expose the immaturity of marathon organizers and other critics online. It is the people behind the stunt who should be apologizing, not He. It’s unthinkable that in 2018 there are still those who fail to understand the basic etiquette of allowing a competition to conclude before carrying out nationalistic displays. As its flag policy suggests, the Running China series — like so many sporting events around the world these days — is as much about patriotism as it is athletics. Sports have long been used to arouse nationalist sentiment — especially when competitors from different countries go head-to-head — so it’s no surprise that politicians would invest so heavily in promoting their motherlands’ sporting programs, or that they would seek to blur the lines between sporting and national success for their own gain. You have only to look at the Olympic Games to see this in action. The Suzhou leg of the Running China series was actually being used to promote the Belt and Road Initiative — China’s trillion-dollar global infrastructure and trade project — so it’s ironic that organizers’ obsession with performative nationalism might have cost a Chinese runner the race. Indeed, it’s often athletes who pay the price when things go wrong. This is especially true in China, where sports media organs often conflate athletic and national success. 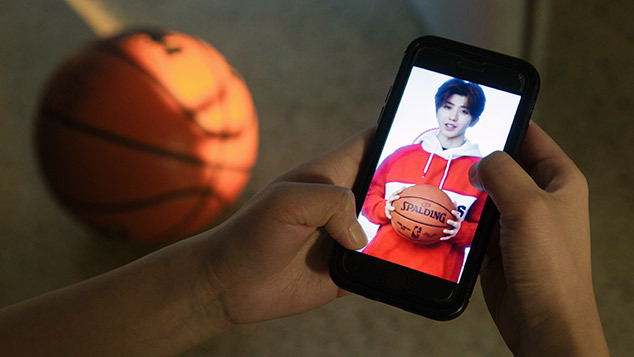 Meanwhile, a state-run training program provides generous funding and valuable coaching to young athletes while also controlling their training regimens and public appearances. If you win, you are held up as a paragon of the system at work; fail, and you risk being reviled as a traitor to the Chinese people and nation. While her attitude was originally the subject of heavy criticism — especially after failing to thank China when she won the Australian Open in 2014 or the French Open in 2011 — the country’s tennis officials seem to have smartly realized that it doesn’t matter what she says: If she wins, they can take credit, and if she loses, it’s easy for them to shirk the blame. Sports allow us to test ourselves against the very limits of human endurance — limits that the best athletes somehow find a way to transcend. Sadly, this latest fiasco is a reminder that the barriers erected by nationalism are less easily overcome. He Yinli set out that morning to win a race, not become a national symbol. Yet in the end, her country tried to turn her into one anyway, letting her down in the process. 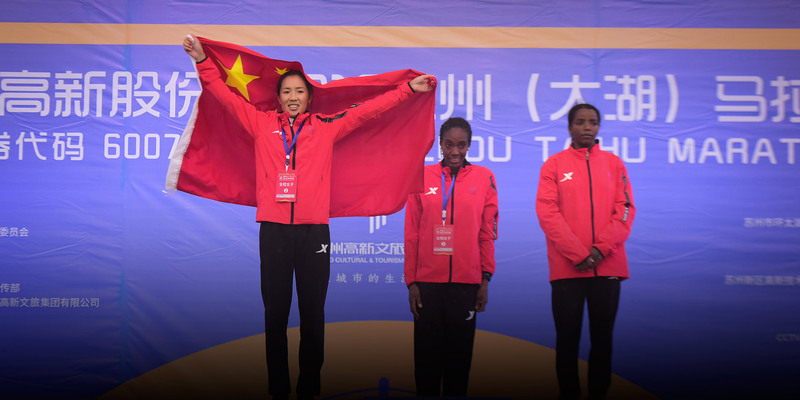 If China wants to compete on the global stage in the future, it could use a little less of the Suzhou Taihu Marathon’s nationalism and a little more of He’s sporting spirit.